Every time we came to Malacca, we never miss to try their local dessert-Cendol. Every time different place, we search high and low, up and down for the best Cendol but never found one. I always thought maybe we are too picky? Last trip to Malacca, my brother's friend introduce him to a place where the best Cendol lies. 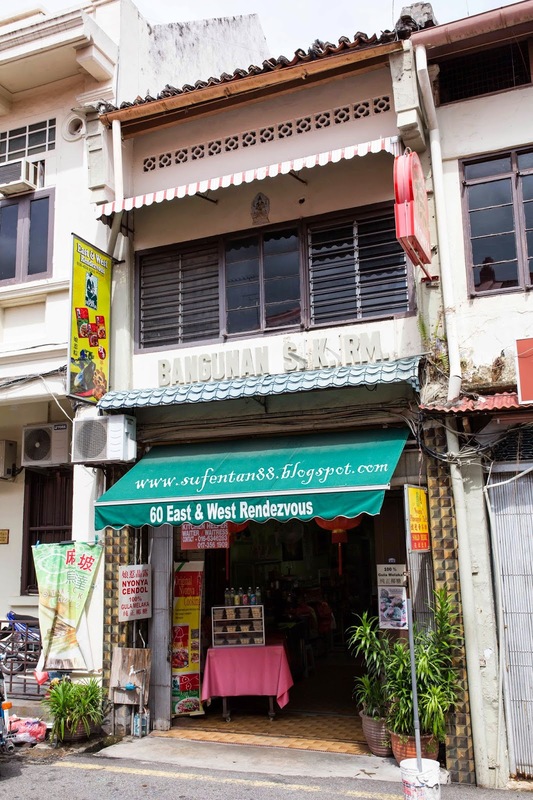 It is located nearby Jonker Street. Just walk along the small alley between the "San Shu Gong" shop and Chung Wah Chicken rice, where you can see the entrance to Hard Rock Cafe's car park, pass by the Orang Utan's T-shirt shop and this little shop will be on your right not too far off. Our main purpose of why we are here: Cendol Melaka! I must state this upfront: my man thinks that this is the best Cendol he has ever tasted in his life so far. Although there's no fancy ingredients like ice cream, cashew nuts or mixed fruits (Who the heck puts mixed fruits in Cendol?!?! My man certainly has some weird imagination........), this Cendol proves that the time-tested traditional recipe is still the king in our local shaved ice desserts. 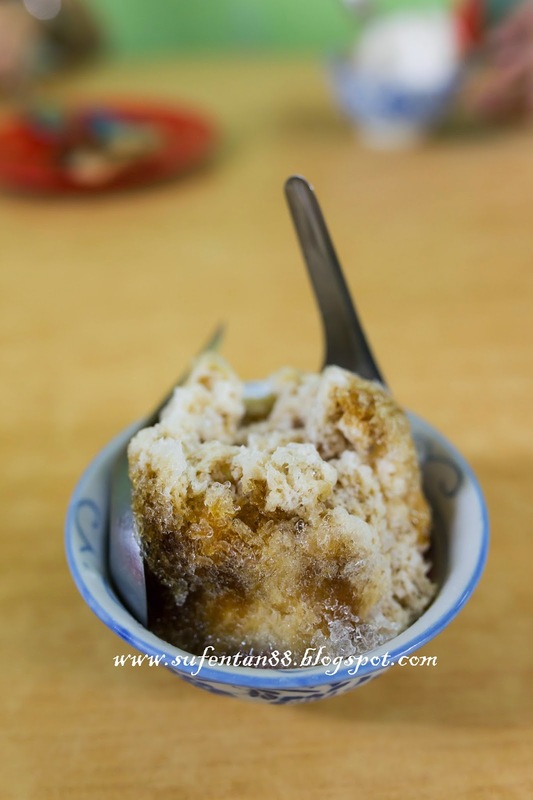 The gula Melaka is however on the sweet side, but thats what makes it absolutely stunning and keeps us craving for more. My man subsequently ordered a second helping and finished it up even faster! 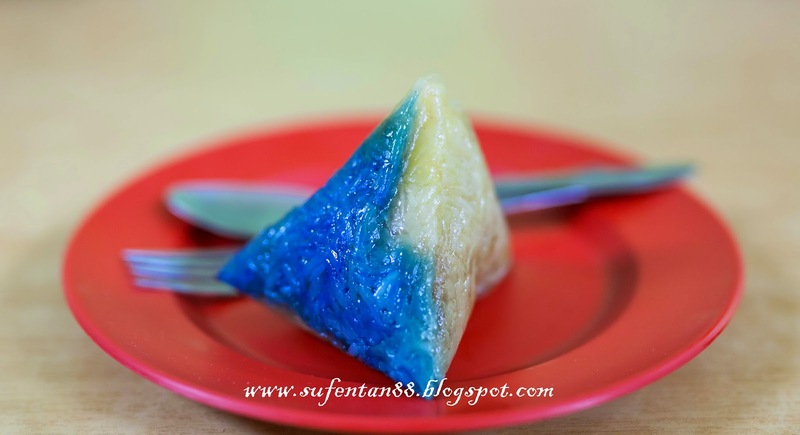 Besides, we also ordered the traditional dumplings, also known as "Nyonya Ba-chang". 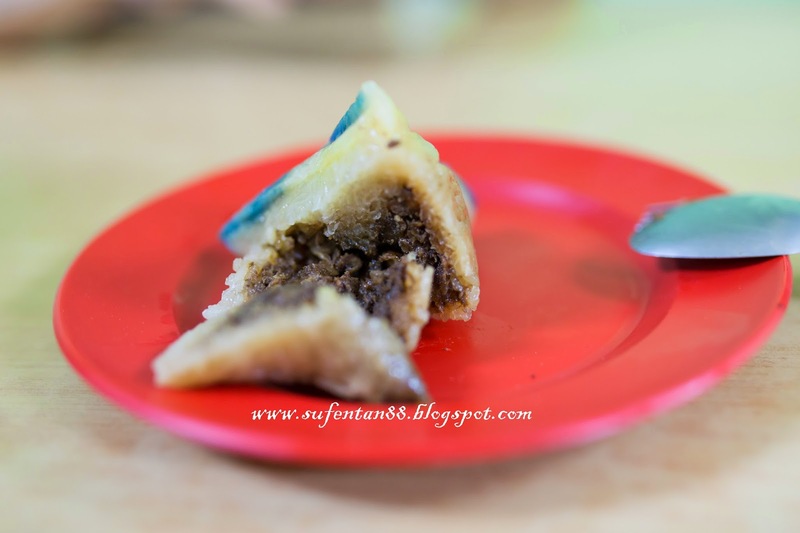 This is made to be slightly different from the normal Hokkien dumpling as the filling in the center is minced meat and tastes somewhat like the filling in char-siu buns, not the usual chunky meat, mushroom and nuts you would find during dumpling festivals. It tastes absolutely delicious, a must try item even if you don't regularly eat dumplings. We loved it so much that we decided to bring a few of them back home. The store owner said that the dumplings can be kept for a few days at room temperature, and even longer if we put it in the fridge. For what it's worth, places like these are becoming rarer nowadays. I can't help but recall that many commercialized dessert shops often leave me a little disappointed out the door; it has been a long time since I last left a shop feeling this satisfied and still crave for even more. I'll definitely make sure to visit this shop every time we come to Malacca in the future! Ng Choi Yen, this place is quite isolated from the crowded Jonker street and only well-known among the locals. You can have a try when you are there as no queue will be needed for this shop.